We've been successfully building and promoting high performance Forex robots for years. We know what it takes to generate sales and put commission in your pocket. 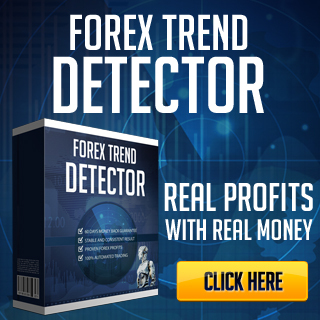 It's hard to best our past product but… Forex Trend Detector is our most powerful (and lucrative) trading tool yet. And – your visitors will absolutely love it. But we didn't rest on our past success. We've created and tested every sales to make sure it delivers conversions and commissions. The #1 risk you face is selling a junk product that racks up high refunds and cripples your reputation. That's why we made sure that we had the proof, quality, and reputation needed to launch a product you can be proud of. 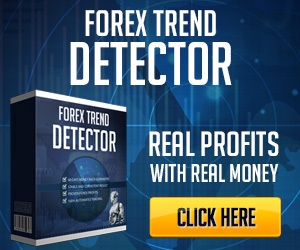 We rigorously test all of our Forex EAs and Forex Trend Detector has undergone the most comprehensive testing to date. 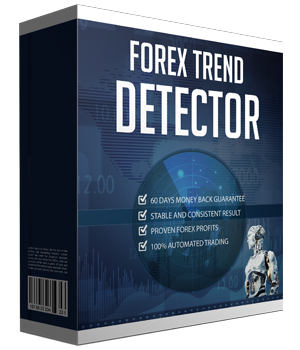 We know your audience will want to see evidence of Forex Trend Detector's performance and included this proof in our sales letter. The product is off the scale in terms of quality and value. Designed in its entirety by a full time professionals, this is one of the most comprehensive trading EA anywhere on the internet. This is a world-class trading system you can be proud to promote. We've been developing and successfully launching High Performance EAs for the last 6 years. Each of our products is well known and has helped traders boost their trading profits. We will pay you up to $358 per sale. This isn't a $20 throwaway EA where you only get a couple of dollars each sale. We've built a robust tool that is worth the money and delivers substantial commission paydays. For all of our top marketing partners, we always reciprocate for them when they ask for our help. And we take this commitement very seriously. As our marketing partner, you'll get lifetime support form us. We value this! We will keep refund rates to a minimum by offering the best Customer Support available. All of our support materials are A/B tested to insure the highest response rates. We let metrics define and guide our marketing giving you excellent conversion rates. We will continue to add high-conversion marketing tools to this area. You can use these tools to create an ongoing marketing campaign to maximize sales and commissions. or 358 USD per sale. This means if you make at least 3 sales per day you will get $7,518 USD per week! We have affiliates who make thousands of dollars daily marketing our Forex robots and getting a big commission on every sale. Why don't you join us and add to your earnings a nice bi-weekly commission check? Got questions? Contact us, it will be a pleasure for us to assist you. Clickbank handles our Affiliate Program enrollment and payments. You can sign up for a free account with ClickBank. Click HERE to sign-up for ClickBank. You should register below to be approved for 40% Commission! It is required to register above. Only registered affiliates will be approved, whitelisted and will get 40% commission. The approval process will take no more than 1 business day. After, you will be able to start promoting our products and earn great commissions. It is the only way we can approve you and keep you up-to-date with what's happening or let you know about any important changes and updates. It is required to register above. Only registered affiliates will be approved and whitelisted. The approval process will take no more than 1 business day. After that you will be able to start promoting our products and earn great commissions. If you are not already on our affiliate list, please register above. It is the only way we can approve you and keep you up-to-date with what's happening or let you know about any important changes and updates.